Leadership - University Risk Management and Insurance Association, Inc. 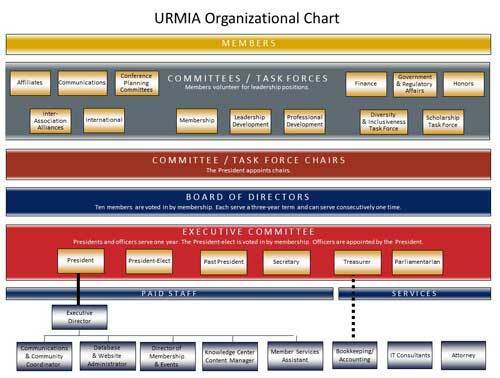 The leadership structure of the University Risk Management and Insurance Association begins with the members and flows down from there. Our members are our most valuable asset and fuel the URMIA mission. Members are encouraged to actively engage with each other and guide the association through committees. Members also participate in an annual election to select the Board of Directors.